Our beautiful venue is situated on the same property as The Thatch Wedding Venue. 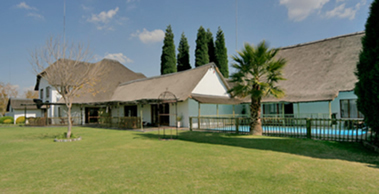 You might be forgiven for thinking that you are miles away from the hustle and bustle of city life with our “country feel’ conference and accommodation facilities, when in reality you find yourself literally on the border of two growing business hubs, namely Midrand and Centurion. 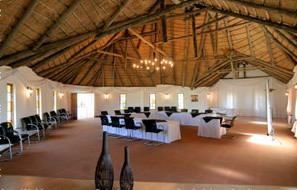 Easy access from Midrand, Centurion, Sandton, Randburg, Fourways, Johannesburg, Pretoria, and OR Tambo International Airport, together with the flexibility of our facilities make them equally suitable for day conferences, meetings, product launches, breakfast presentations, company breakaways, strategizing meetings, team-building and workshops alike. 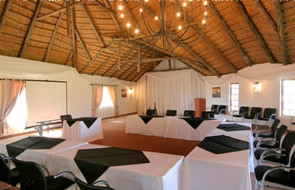 PEMBI “Midrand-Centurion” offers a broad spectrum of conference room layouts in order to accommodate any variety of needs.